Ken joined Akoustis on December 19, 2017 as Corporate Controller and became Assistant Secretary in February 2018. He has been responsible for helping build and manage the Company's finance organization, implementing the Company's SEC financial reporting, and developing all internal controls and processes. Ken's past work experience includes; Regional Controller and Corporate Director of Accounting for Ecolab, Inc. from 2012 to 2017. Prior to his employment at Ecolab, Mr. Boller served as Finance Director for ATI Allvac from 2007 to 2011. From 1998 to 2007 Mr. Boller held various roles within finance, including Director of Financial Reporting, Planning and Analysis at American Water Works Company, Inc. Ken is a Certified Public Accountant (Commonwealth of PA) with his BS in Accounting from Rutgers University, Camden NJ. 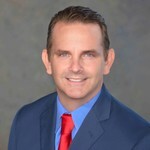 David M. Aichele is Vice President of Business Development responsible for leading the sales and marketing efforts of the company. Dave joined the company in May 2015, bringing over 20 years of international sales, business development, and marketing experience with him. Prior to Akoustis, Dave was EVP Sales & Marketing for T1Visions, a high tech software start-up company achieving 2014 INC 500 fastest growing private companies in the US. Dave held Director positions at RFMD (previously Qorvo), where he was responsible for the business development and launch of new RF semiconductor products targeting the cellular market, as well as senior management positions at Tessera and TE Connectivity, where he led business development and sales teams. Dave holds a BSEE from Ohio University and an MBA from the Leeds School of Business at the University of Colorado. Rohan Houlden brings over 29 years of experience in design engineering, business development and management in the RF and wireless industry. 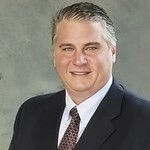 Prior to joining, he was the General Manager of the Connectivity Business Unit at Qorvo (RFMD+TQNT merger), Inc., responsible for CPE Wi-Fi, Smart Energy and Automotive product lines, where he managed the product development and production ramp of custom Front End Modules (FEMs) and BAW filters to leading enterprise and retail OEMs and automotive suppliers. 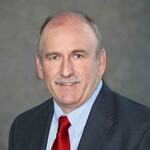 Prior to the merger, he was General Manager of the Wireless Connectivity Business Unit at RFMD for 7 years, responsible for Wi-Fi and Smart Energy product lines. In addition, he also managed the product development and production ramp of custom Front End Modules (FEMs) to all leading wireless OEMs - including tier 1 and tier 2 Smartphone OEMs, as well as key OEMs involved in emerging Internet-of-Things (IoT). He was at RFMD for a total of 17 yrs. Prior to RFMD, Rohan worked in various business and engineering leadership positions at Rockwell Semiconductor/Conexant (now Skyworks). Mr. Houlden holds an MBA from University of Iowa, Masters of Science from Iowa State and a Bachelor of Science from Royal Melbourne Institute of Technology (Australia). 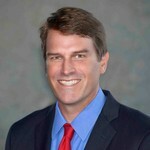 Drew Wright is the General Counsel and Corporate Secretary for the company. Drew joined the company in November 2017, bringing with him over 23 years of legal experience, including 20 years of legal experience supporting global technology businesses. 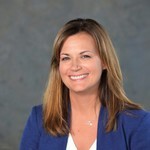 Prior to Akoustis, Drew served as Assistant General Counsel for Toshiba Global Commerce Solutions, a leading global retail technology company offering retail hardware, software and services solutions in 46 countries around the world. 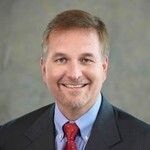 Prior to Toshiba, Drew served as Site Counsel for IBM Systems and Technology Group in Raleigh, North Carolina, where Drew managed legal support for the System x, Retail Store Solutions and Platform Computing brands. Drew's earlier career included several years within IBM Software Group supporting brands such as IBM WebSphere, VisualAge and Tivoli, and three years practicing mergers & acquisitions and securities law as an associate at Parker, Poe, Adams & Bernstein in Charlotte, North Carolina. Drew holds a J.D. with Honors from the Duke University School of Law and a B.A. in Economics with Distinction from the University of Virginia.